Since the Republicans decided to sue President Obama (an act, by the way, which is infuriating me more than anything that has occurred in politics since the Supreme Court decided to grant W the presidency in 2000), I have received – wait, let me count them – 36 emails asking me to donate to the Democrats. Since Friday. From Barack himself, several times. From Michelle and Joe Biden and Nancy Pelosi and Debbie Wasserman Schultz and Paul Begala. And I understand, believe me, and support these efforts. But I have had to delete every email, even though I was able to give multiple extremely modest amounts of money leading up to the 2012 re-election campaign. This latest email pointed out that since I signed the president’s birthday card, I should put my money where my mouth is (or my finger, in this case, on the screen of my phone). That a birthday gift Barack would REALLY appreciate would be a donation of $10 or $20 or $200, or hey, even another amount. I know. Believe me, I do. But this last request, implying that if I REALLY want to have the president’s back on his birthday I should put up or shut up, has inspired me to explain my dire circumstances. Since Obama won re-election in 2012, I have had to leave my full time job with my City’s Xxxxx & Xxxxxxxxxx Department due to my severe chronic migraine headaches. I applied for Disability benefits, and on my very first attempt, the SSA determined me to be OFFICIALLY disabled, too sick to work, signed sealed delivered (oh yeah! )BUT wait! I was not eligible for actual monetary benefits because I’d been paying into the Ohio PERS system rather than Social Security. So I also applied for SSI, but due to my husband’s salary – he makes FOURTEEN DOLLARS AN HOUR – I only receive $148 per month. Jordan, my husband and I have two beautiful, intelligent and creative school age daughters. Jxxx’s paychecks after deductions add up to a monthly income of $2400. Approximately. Sometimes less. Do you want to know what he does? He used to be a kindergarten teacher at a Title 1 school in Xxxxxxx, Ohio. Now he works for a county agency called Xxxxxxx Xxxxxx Xxxxxx as a Community Psychiatric Support Treatment Specialist; basically his job is crisis management and counseling for children and their families. Last Thursday he was called to handle a terrifying life and death situation for a client’s family, and accomplished that feat successfully. But you know what Jordan? Jxxx doesn’t make enough money to support his OWN family. Even though that paltry salary is apparently deemed too much for me to receive the full amount of SSI normally granted to a disabled individual in Ohio. 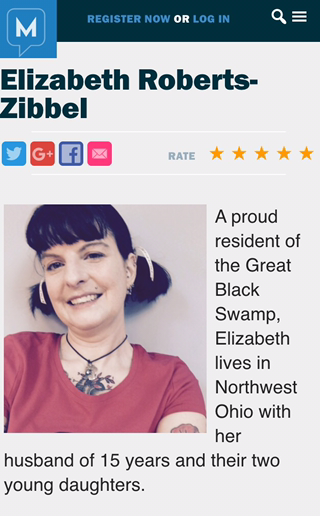 So also last week, I applied online for Ohio’s SNAP benefits. Food stamps. We are only eligible for $78 per month. Again, not really a whole lot of help there, though I am truly grateful for the government assistance I receive and I understand we’re not supposed to be comfortable, cause you know, we’re supposed to pull ourselves up by our boot straps and fight for the American Dream in our spare time. Medicaid, however, does feel miraculous, considering the amount of expensive medical care my chronic illness requires. Due to the Affordable Care Act, Ohio expanded Medicaid, which makes my family an Obamacare success story. But there is not one penny extra. Not $10 or $20 or $200. So please, Jordan, don’t imply that the only way I can support my beloved president is to donate money to the Democratic Party. Tell him. Tell Barack, tell Joe, Michelle, Nancy, Debbie, Paul and all your other friends to STOP ASKING. We are the fallen middle class; my husband works 50 hours per week helping to save Xxxx County’s troubled families, and he himself is one of the many millions of working poor in this country. I love President Obama. I tell everyone I know and share petitions on Facebook and Twitter and defend him and get teary watching him speak. I can continue doing this without pledging financial support because I CANNOT AFFORD TO DONATE. I CANNOT EVEN AFFORD TO FEED MY OWN FAMILY. Jordan, thank you for your time and understanding. I know you are just doing your job. And you know what? I support you, too. Home owner, partner, mother, and proud liberal Democrat. Most nights, while I’m swaying my baby daughter to get her to fall asleep, I suddenly realize that there is something else that I needed to get done that day — you might know what I’m talking about, Elizabeth. For example, I noticed you signed President Obama’s birthday card, and I know he’ll really appreciate that. But I also noticed you haven’t chipped in to support Democrats this month. Donate $10 or more to elect Democrats and take care of that right now. Life gets hectic for everyone, and we all forget to do things from time to time, even when we’re waiting to sneak out of our kids’ rooms once they’re asleep. But that’s why I’m here to help you out and give you a reminder. This email was sent to elizaxxxxxx@gmail.com. If this isn’t the best email address at which to reach you, update your contact information. Our email list is the best way we have of staying in regular contact with supporters like you across the country and letting you know about the work President Obama and other Democrats are doing. Click here to unsubscribe from our supporter list. This organization is powered by you, and we’d love to hear your ideas. Send us any comments, criticisms, or feedback here. Thanks for supporting President Obama and other Democrats. ***Addendum: this is an edited version of the actual email I sent back to Jordan Kaplan of the Democratic Party after receiving 36 requests for money within a 6 day period. That’s six emails per day, and I couldn’t take it anymore. 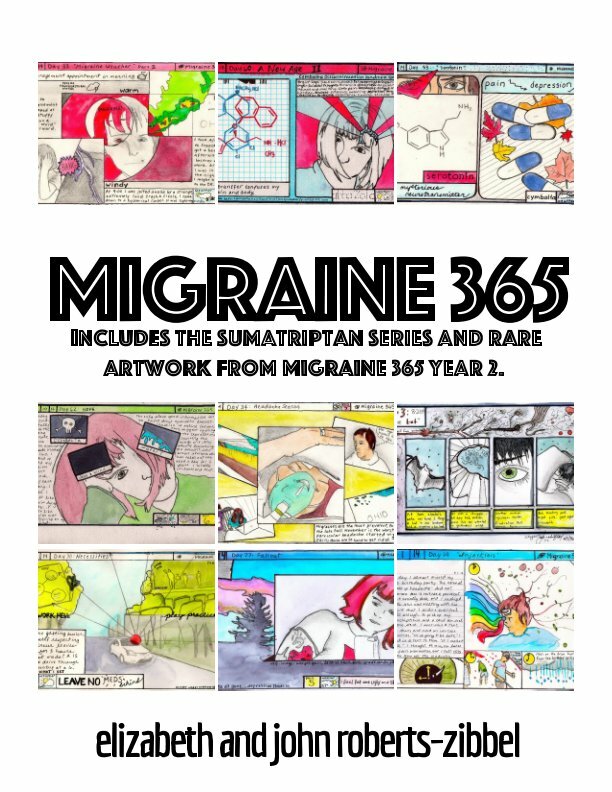 I don’t have any delusions about anyone there reading it, or taking it seriously… but I hope someone does, because the impact of migraine disease on my family has been devastating in so many ways, not least of which is financial. And I want that burden to be understood by as many people as possible. Previous Post It’s All Relative. I hear you. I get them too. Here in CA I work for the government. I am barely surviving. I am watching my friends taking their retirement to different countries. They can’t survive here. I see the middle class literally slipping away. I just want to work as long as I can. You are very lucky to have your parents. I really don’t have anyone. Take care. I’m sorry to hear that. It’s hard to feel lucky at times, considering our troubles with health and finances, but I know I am, and that my situation could be much, much worse. You take care also.